What is Azure CDN ? What is the usefulness of this feature ? How can implement you it ? Step 1 : Alice request a file and for this action use a URL (containing special domain name). For exemple : .azurecdn.net. DNS permit to route the request to the best performing Point-of-Presence (POP) location (normally the geographically closest to the user). Step 2 : If the edge server does not have the requested file in their cache : He request the file from the origin (Azure Web APp, Azure Cloud Service, Azure Storage Account,…). Step 3 : The origin server returns the file to the edge server. He include http headers to describes the TTL (Time-to-Live) of the file. Step 4 : After having received the file, the edge server caches the file. Step 5: If an other user (Bob for example, try to request the same file using the same URL, he can receive the file since edge server. You can implement three Azure CDN, the functionnality for each is described in the link below CDN Feautures. It’s necessary as a first time to create a new CDN Profile. It’s a collection of CDN endpoints. So one profile can contain one or more CDN Endpoints. One single Azure subscription has limited to four CDN profiles and each profiles has limited to ten CDN Endpoints. In the Azure Portal, click New and in the field enter cdn. In the Marketplace pane, click CDN + Media athhen CDN. You must now click create button. 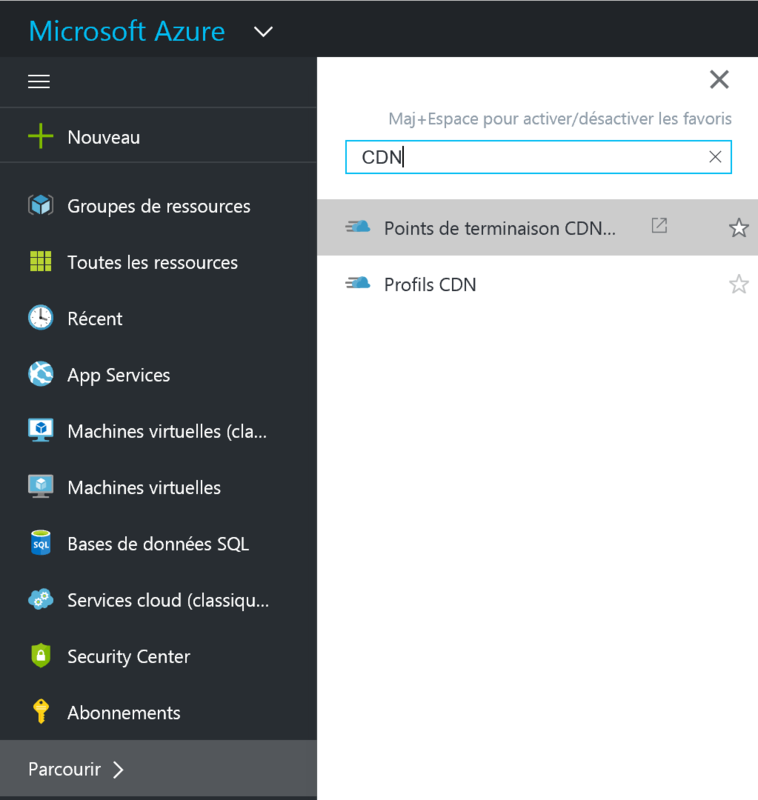 From the Azure portal, navigate to the previously created CDN profile. Click Browse and enter in the fields CDN. CLick CDN Profils. The previously created profile is present. Click above to display the configuration pane. Add a CDN Endpoint by clicking on Endpoint. Enter the name you want as well as the desired type. Here the type is storage, then select the host of origin along with the path name. Deselect protocols that you no longer wish to, and then click Add. The endpoint is well established.